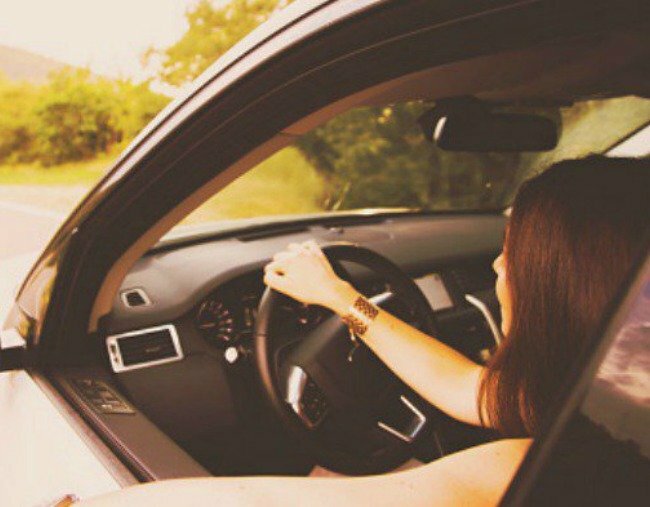 Spend less on car expenses: it can be done with these tips. The everyday changes you can make to curb your car costs. If you own a car, it goes without saying that the upkeep can burn a huge hole in your back pocket. I would know, in the last month I’ve (resentfully) forked out thousands for registration, servicing, cleaning and petrol, and insurance isn’t far off either. The expenses seem to be never ending. And while it’s easy to protest ‘I’ll just get rid of the car!’ for many, it’s not that simple. For example, if work isn’t close to public transport and driving has gone from a luxury to a necessity, it can be hard to justify going without. 1. Think smarter at the petrol bowser. Let me ask you a question: Do you know if your car is E10 compatible? I know, I didn’t. But I was pleasantly surprised when I discovered my Mazda 3 is in fact, compatible with E10 (a mixture of conventional unleaded petrol and ethanol). As E10 is often the cheapest of all the petrol options, I’ve found this to be an easy way to save some extra cash during my weekly top-up at the petrol station. One easy way to check if your car is compatible too is to just pop open your petrol cap. Most cars will have a yellow label stuck on the inside indicating whether or not your car is E10 compatible. If your car doesn’t have a sticker or you’re still unsure, you can check the compatibility of all car types on the E10 Fuel for Thought website. Green is good, trust us. Image via Getty. And if you&apos;re still skeptical about switching, let me take a minute to bust some common myths for you. Firstly, E10 isn&apos;t bad for your engine - it&apos;s compatible with most modern petrol cars on the road today. It isn&apos;t &apos;dirty&apos; either - it actually contains around 35 percent oxygen, which results in a cleaner burn. And finally, petrol with a higher octane also isn&apos;t necessarily what your car needs. If the manufacturer says you can use E10, then there&apos;s no reason for you to pay a premium for petrol. Fuel for thought indeed. 2. Don&apos;t be idle when you drive. Of course, for safety it&apos;s a given we all need to be sensible when we drive. But what you may not know is that being sensible has added benefits like saving your fuel and in return, cash. Speeding, accelerating too quickly or breaking too hard are all actions that can waste your petrol by even doubling your consumption. There&apos;s an added bonus to being sensible while you drive. Image via Getty. Another thing you can do is get out of the habit of sitting stationary while your car is still on. If you&apos;re leaving the car on while waiting to pick up a friend or collecting the kids from school, that&apos;s a big no-no. Sitting idle wastes far more fuel than turning your car off and restarting it again when it&apos;s time to take off. 3. Wash and vacuum at home. When it comes to keeping my car clean, I know I&apos;m often tempted to drop it into the car wash and have it all done for me. However, my local charges $50 for a wash, vacuum and wax, which is by no means cheap. That&apos;s why I&apos;ve committed to getting out the hose, sponge and vacuum cleaner and doing it all myself. And when you think about it, it&apos;s short-term pain versus long-term gain. Sure, it&apos;s not fun when you&apos;re doing it, but at the end of the year when you have an extra $600 sitting in your bank account, it&apos;s well worth it. If you&apos;re still not sold and you have kids, try outsourcing it to them with a little pocket money as reward. I&apos;m sure they&apos;ll do just as good a job for a mere fraction of the price. 4. Don&apos;t let your tyres go flat. Tyres. They don&apos;t get enough credit sometimes. But you&apos;ll want to look after them because doing so will save you money in the long run. One of the easiest ways to do so is by making sure they have enough air in them. Fully inflated tyres, you guessed it, save petrol. The other plus side is that you reduce the chance of a tyre blowing out, which is not only dangerous, but costly. Checking your tyres regularly will save you money in the long run. Image via Getty. And if I can put air in my tyres, rest assured, anyone can. Most service stations have an air pump and it&apos;s a matter of simply taking the cap off your tyre, attaching the hose and letting the magical numbers on the display do the rest. You will usually hear a beep when your tyres are filled with the right amount of air indicating for you to remove the hose and replace the cap. 5. Know the basics of servicing your car. Don&apos;t underestimate the power of your car manual - it&apos;ll save you from spending unnecessary money on simple maintenance. This involves changing the oil, oil filter and air filter. Check your fluid levels regularly as well by making sure your power steering and radiator fluids are at the right levels each time you change your oil. Also check automatic transmission fluid, brake and clutch fluids. Most of these can be purchased fairly cheaply. How do you save money on your car costs? We want to see your tips in the comments section below! This content was created with thanks to our partner, the E10 Fuel for Thought campaign.